Crisp. Fresh. Colorful. Exciting. New. Promising. Abundant. Brisk. Challenging. For me, this describes both the beginning of fall, and the beginning of a new chapter in my life. Some people are still protesting summer’s end, but honestly, it’s time for a change. Are you holding on to the last of the straggling, faded summer flowers? 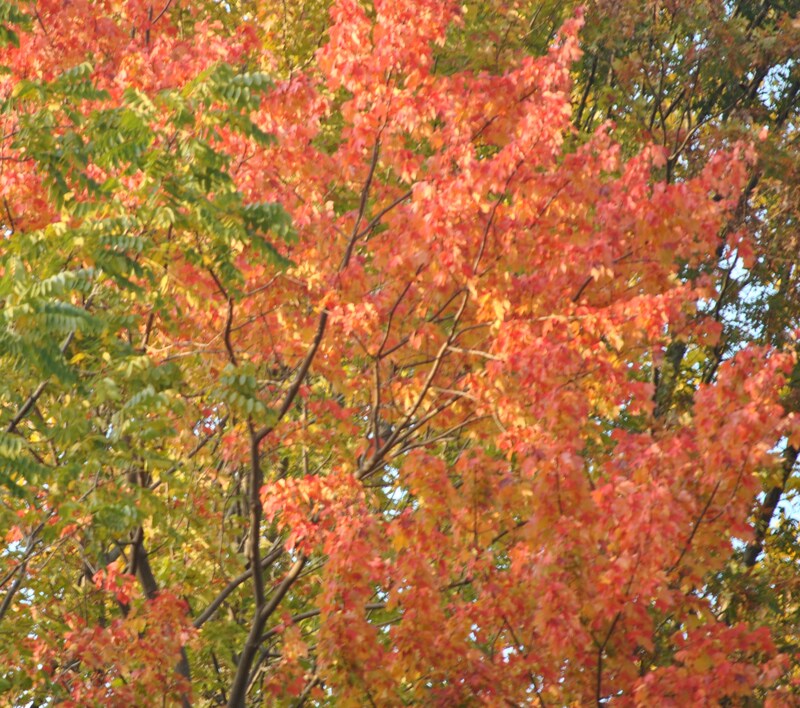 Or are you ready to add some vibrant fall colors, to celebrate the abundance of the season? Have you ever thought about your life in this context? What are you holding on to from the past, which used to work for you, but now weighs you down? How can you release whatever is holding you back, in order to welcome change into your life? Change is inevitable; look around at the colorful ones occurring in nature every day. Yet, we tend to hold on to what we know, even when it no longer feels right. If you’re feeling stuck in your life, your relationship, or your career, maybe it’s time to look at how you can create more enjoyment in these areas. It doesn’t mean throwing away what you have. It’s about looking at your life, creating balance, and getting connected with the things that will bring that exciting, colorful, new and promising engagement to your life. Live colorfully! Fall is a great time for change, for taking challenges and trying out something new that you’ve never tried before. Let go of something to make room for change. Take time to enjoy the beauty, the colors and the abundant harvest. How can you use this to inspire such exciting and beautiful change into your own life? Ready! Set! Wait…Don’t Go to Preschool Yet! It’s August, How’s Your Summer Bucket List? Just enter your email address to subscribe to this blog and I'll send you notifications of new posts by email.